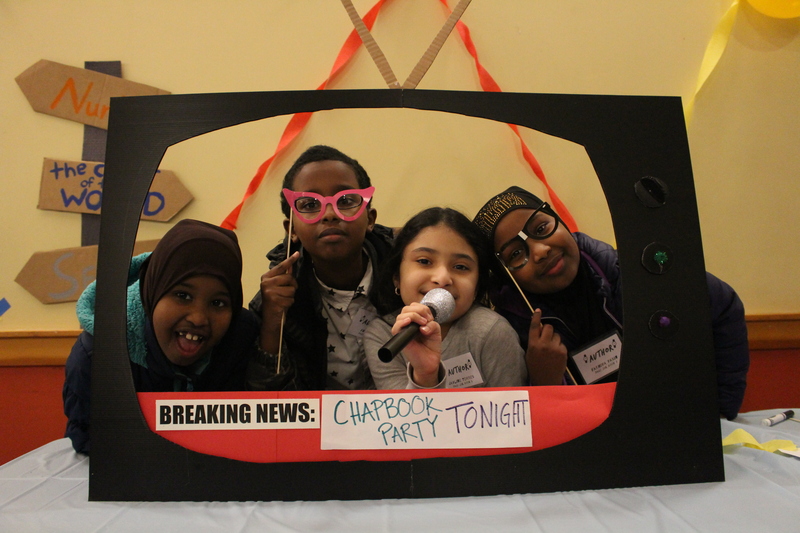 On February 1, 826 Boston’s After-School Writing and Tutoring Program celebrated the release of its latest book, The Watch Went Beep Beep: Stories of Apocalypse and Survival. The stories featured clever characters, complicated storylines, and crafty solutions—which almost always ended happily for the human race. Thank you to the parents and guardians, tutors, volunteers, and friends who celebrated this accomplishment with the after-school students. Miss out on the fun? You can purchase your copy of The Watch Went Beep Beep here.